Our PIR-607 has the patented design for overheat protection. 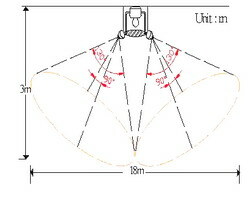 If the temperature of the downlight is over 100 degree C, the light will be turned off for the safety features. 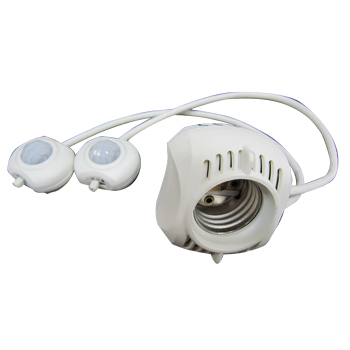 After the temperature of the downlight is reduced to about 40 degree C, the PIR-607 sensor will start its function again. D.I.Y. design - Fire resistant material used, high-temperature resistance 、blaze and flash resistance. It has CDs, the sensor will only turn on the lights at night. 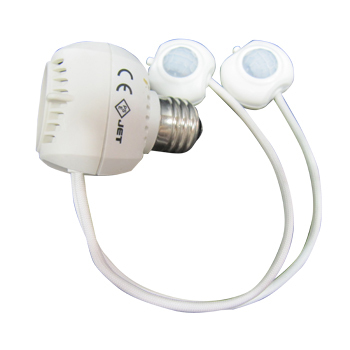 Dual sensor can work independently with high performance. It is suitable for stairs or special ground. Suitable for any screw lampshade or lamp holder. With Japan JET and CE patented. 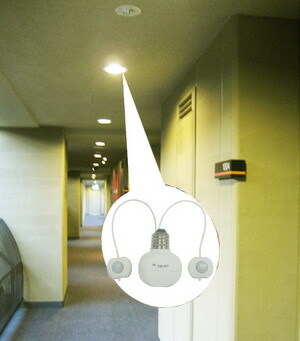 Application: Hallway, door gate, office building, conference hall & etc. Install at daytime: the lamp will flash 3 times after energized. Install at nighttime: the lamp will light for about 20 seconds then automatically shut off after energized. 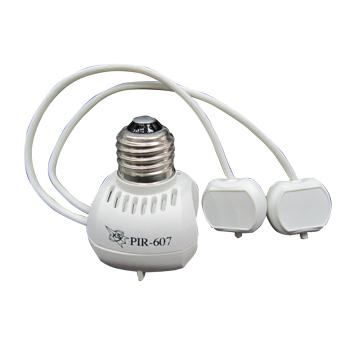 Turn off the power and take off original screw bulb and into PIR-607. 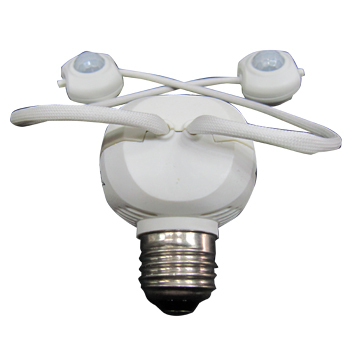 Then, install them into the lamp holder and pull the sensor line to adjust the sensing angle. Install in the daytime: the lamp will flash 3 times after energized. Install in the nighttime: the lamp will light for about 20 seconds then automatically shut off after energize. After installation, Under 3LUX: sensor is active; over 30LUX: sensor not active.